NEWTON, MASS., February 24, 2015 – Bigbelly, Inc., the leading provider of enterprise waste management solutions, announces broad adoption of Bigbelly Smart Waste & Recycling solutions by universities and colleges across the United States seeking efficient and environmentally friendly ways to keep their campuses and public spaces clean. The most recent higher education clients working to improve operational efficiencies, encourage recycling behavior on campus, and reduce their carbon footprints include University of Georgia, University of South Carolina, and Virginia Tech. Installs among Bigbelly’s extensive list of university clients are geographically dispersed with concentrations in New York (19 schools), California (36 schools), Massachusetts (22 schools), Pennsylvania (15 schools), and Illinois (nine schools). Municipalities, colleges & universities, transit systems, parks & beaches, healthcare facilities, corporate campuses, retail & mixed use, ports, and government facilities use Bigbelly’s unique solar-powered, connected, and smart solution for waste disposal, recycling of paper, plastic, or glass, and collection of compostable material at specified stations. Innovative technology drives the compacting capabilities and notifies staff when stations require emptying, while smart cloud-based tracking and reporting help deliver operational efficiencies unparalleled in the field. There are many reasons universities consider installing Bigbelly. A number of schools are responding to proactive students and student governments who increasingly seek their institution’s commitment to sustainability. Attractive and prominently placed, the stations serve as messaging platforms (with available custom wraps) that broadcast and reinforce across campus a university’s commitment to sustainability. Bigbelly stations can be found on the campuses of 24 of the Top 50 Green Schools as identified by OnlineSchoolsCenter.com. The annual list recognizes colleges and universities that go beyond for their students, the environment, the community, and the school as a whole to provide an environmentally conscious, ‘green’ campus life. The ability to address unique business needs coupled with the ease of integrating Bigbelly solutions into existing public waste and recycling programs drive decisions to invest in Bigbelly. Universities can maximize operational efficiency, conserve resources and fuel, improve recycling, decrease overflow and litter, lower tipping fees, and eradicate animal-related issues. * Boston University – A perennial member of the Princeton Review’s Green Colleges, Boston University has replaced all of its traditional outdoor bins with Bigbelly waste and recycling stations. * Kutztown University – The University placed one station in an area that required two to three trips per day to keep up with the volume of waste created, and condensed collection to once or twice a week. Having expanded deployments to 24 stations, Bigbelly provided Kutztown University with a 50 to 75 percent reallocation of staff time to other pressing needs on campus, a reduction in overtime, and more efficient collection efforts resulting from the stations’ built-in notification capabilities. * Texas A&M University (TAMU) – Since 2011, TAMU has used the Aggie Green Fund to purchase 12 Bigbelly triple stations annually (each Bigbelly station replaces three standard trash cans). Currently the campus has 60 stations and will install an additional 12 in 2015. The deployment now requires only one worker to remove trash/recycling around campus and produces collection efficiency of 84 percent. * University of Houston – With 87 stations installed today, the University of Houston replaced approximately 300 various receptacles. The University’s former operations included five laborers emptying trash/recycling receptacles and removing litter five days per week. Now with Bigbelly, the operation involves a single worker who spends three to four hours daily and collection efficiency averages over 90 percent. * University of Washington – Seattle – With 34 triple stations, the University initially turned to Bigbelly for its ease of service as well as its ability to curb litter, save staff time, and help divert recycling and compostables. Immediately with Bigbelly, facilities management reduced collections from twice per day to once or twice per week, and collection time from 90 to only 30 minutes. In the first six months, Bigbelly generated dramatic diversion rates on the UW Seattle campus: 57 percent by volume of compostable material and a total diversion rate of 73 percent. Additional higher education clients include Iowa State (with over 70 stations throughout campus), University of North Texas (over 50 units and over 80 percent efficiency), Massachusetts Institute of Technology (replaced over 100 traditional units campus wide with 45 duo stations), Northern Arizona State University (largest higher education deployment in the Western U.S. with 178 stations), University of California San Diego (82 duo stations, cutting collection by 80 percent), University of California Santa Barbara (first higher education customer to implement a triple compaction system for recycling, compost, and landfill, and increased diversion rates to about 70 percent), and Virginia Tech (100 double stations). Bigbelly, Inc. is the world-leading provider of enterprise waste & recycling management solutions with more than 1,500 customers in 47 countries. Solar powered, the Bigbelly Smart Waste & Recycling System combines cloud computing with smart compacting waste and recycling stations. Bigbelly’s system helps customers beautify their public space while reducing operational costs by 70-80 percent. For more information, visit http://bigbelly.com. 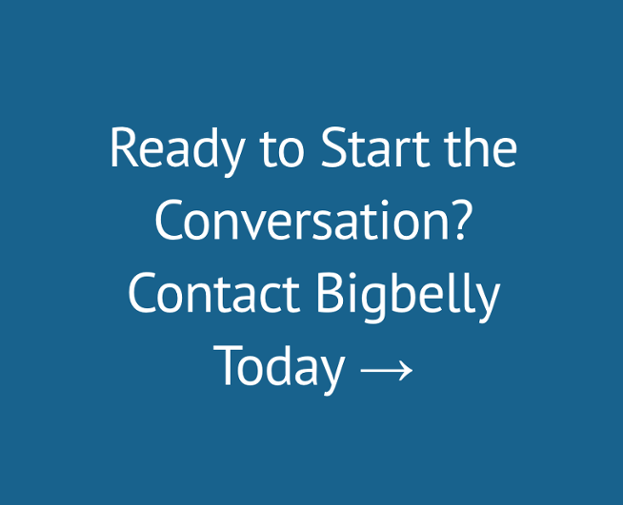 Follow Bigbelly on Twitter at @BigBellySolar, on Facebook and on LinkedIn.